This reclining loveseat will give you the option to recline and glide. This piece features plush padding and a contoured seat cushion for bucket-style seating. Nail-head trim and welt cords add a finishing touch to the piece. The 88907 Casual Reclining Console Loveseat by Corinthian at Miskelly Furniture in the Jackson, Pearl, Madison, Ridgeland, Flowood Mississippi area. Product availability may vary. Contact us for the most current availability on this product. Padding & Ergonomics 1.8 density, 28-30lb PSI compression in seat cushions. Poly dacron filled seat backs. 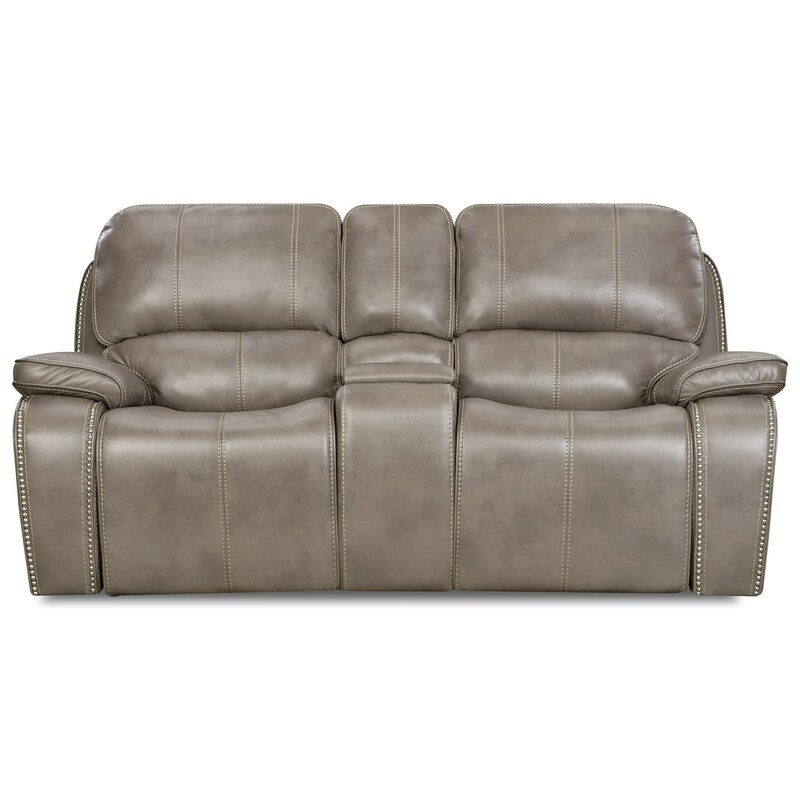 This reclining furniture collection will make a grand addition to your casual styled family room or entertainment space. This group features a reclining chair, sofa and loveseat. Each piece is available in a standard recline, power recline and power recline with power headrest option. The 88907 collection is a great option if you are looking for Casual furniture in the Jackson, Pearl, Madison, Ridgeland, Flowood Mississippi area. Browse other items in the 88907 collection from Miskelly Furniture in the Jackson, Pearl, Madison, Ridgeland, Flowood Mississippi area.